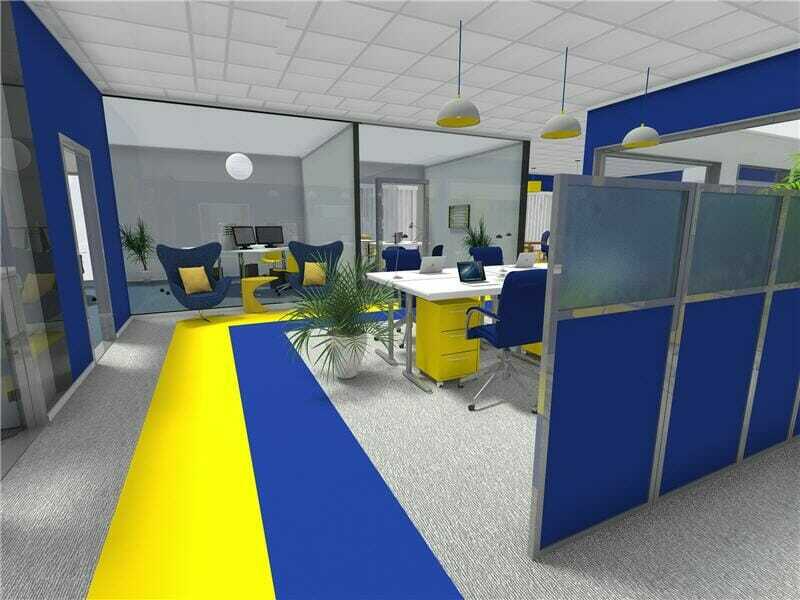 The layout of your office is an important factor that affects how your employees will perform their tasks. Before you decide on your office layout, you want to make sure you have identified your office planning objectives. Once these are in place, you want to think about the types of tasks that your employees perform, their need for interaction with each other and clients, as well as the accessibility of support functions. A traditional office layout is made up of individual offices that are “built-in” meaning that they are permanent or semi-permanent. 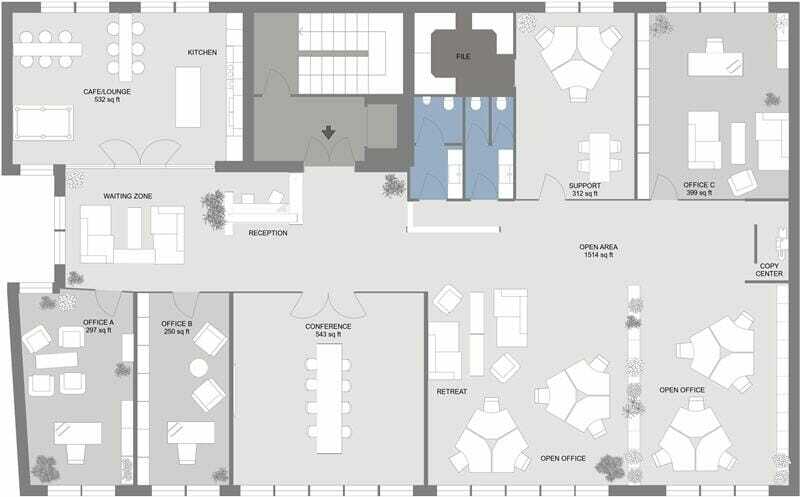 This style of office layout will include a combination of enclosed offices and meeting spaces with a more open reception area for receiving customers. A cubicle office layout is a type of open office plan where the workspaces are created using partition walls on 3 sides to form a box or “cubicle”. This style of workspace is more space and cost efficient compared to built-in offices. It is typically used in combination with built-in meeting rooms and private offices for senior staff. A low partition office is the more modern version of the cubicle office, where the height of the partition walls around the workspaces is lower to allow for more light and interaction between workers. Like a cubicle office layout, it may include built-in meeting rooms and offices if more privacy is required. A team-based office layout is a newer type of layout where workers are grouped by team. The size and space allocated to each team vary depending on the type of work that needs to get done. A team workspace will often include individual workstations and a collaboration space. This reduces the need for meeting rooms. An open-plan office does away with partition walls altogether. Instead, work areas are created and defined using furniture. Desks may be lined up side by side to create “banks” or they may be replaced with multi-person work tables called “benches”. Tables and lounge seating are used to create informal meeting and collaboration areas. 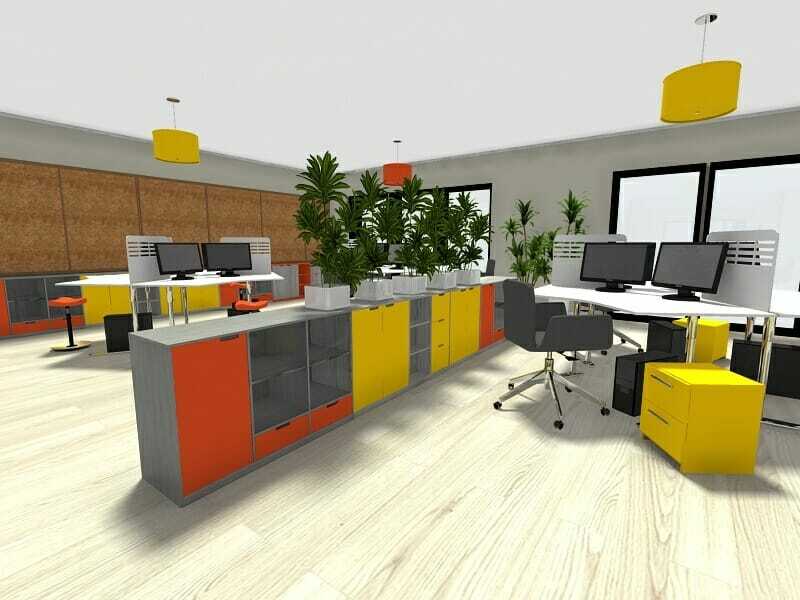 The appeal of this type of office is that it is very flexible and can expand, contract and be reconfigured easily. 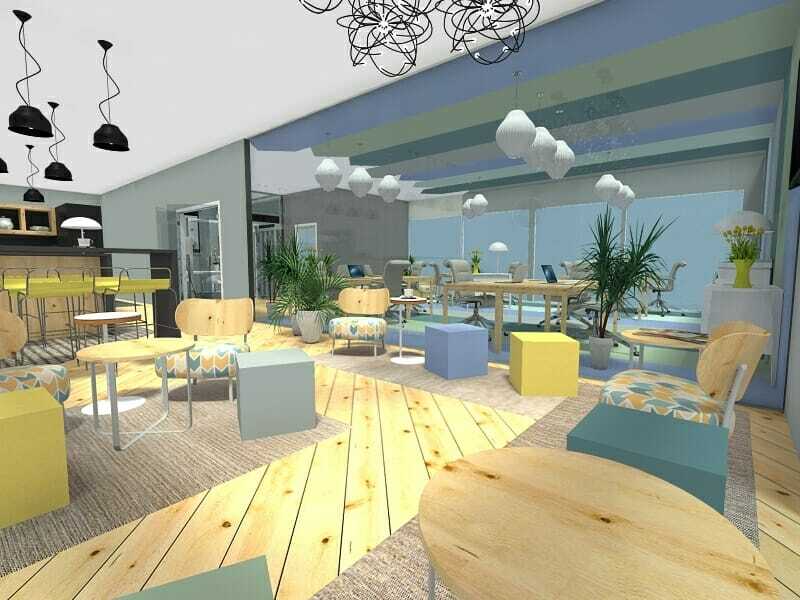 The hybrid office is one of the newest office types. It combines elements of all the above office styles based on the needs of your company. Think of creating your office layout as if you had a menu, from which to pick and choose different “environments” based on the needs of your company. Innovative new office systems are making this more possible and easier than ever. Co-Working offices are one of the great workplace innovations of this century. They allow you access to all the aspects of a modern office without you having to create it yourself. Instead, you pay a monthly fee to become a member. Just sign in and find a workstation or spot in the lounge. 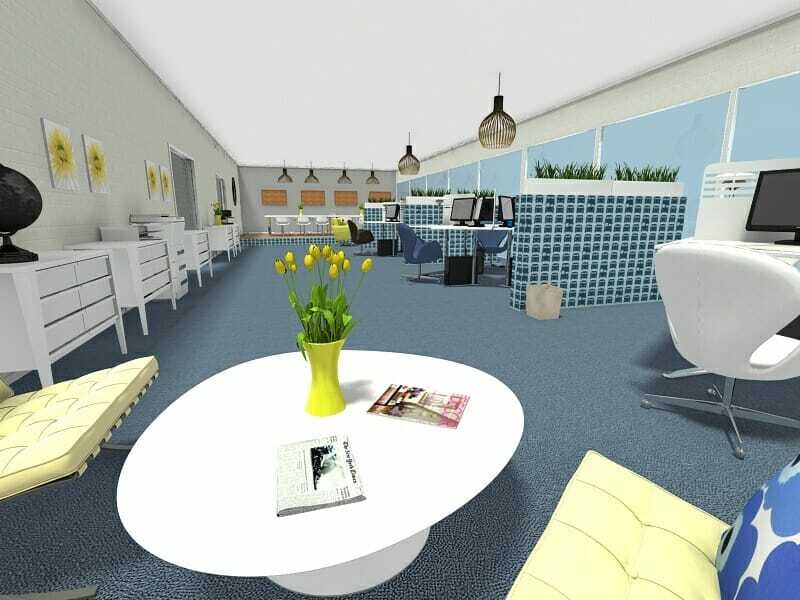 Like a hybrid office, a co-work office layout will offer a range of workspaces from open lounge areas to private offices and meeting rooms. Home offices are more popular than ever as flex-time and work from home programs have made it possible. The layout of your home office requires careful consideration as well to make it an efficient and productive place for you to get your work done. Get started creating your office layout today with the RoomSketcher App, the easy-to-use floor plan and home design software. 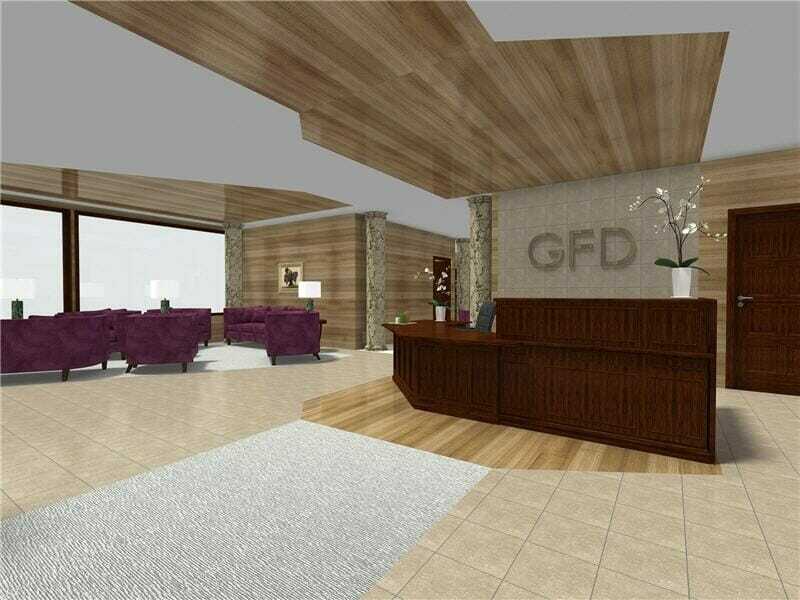 Draw your office floor plan, furnish it, and see your office design in 3D. 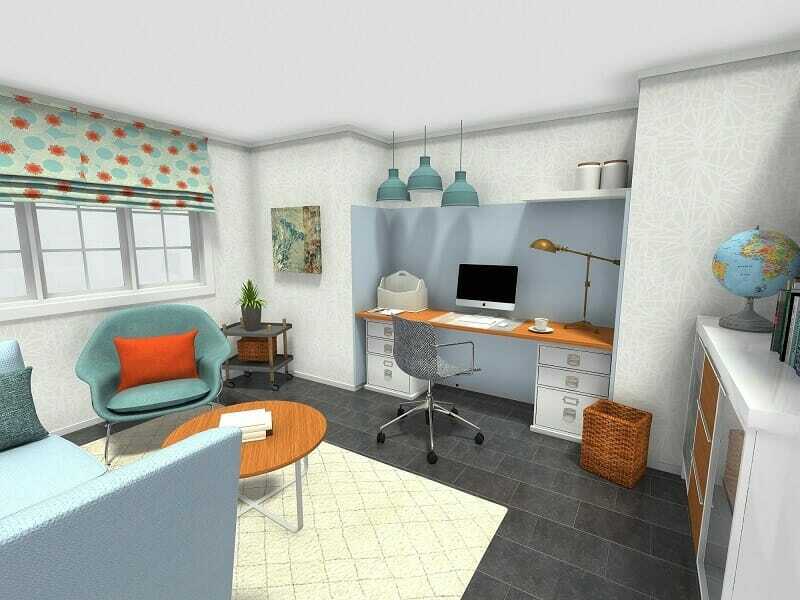 Learn more about using RoomSketcher as your office design software of choice. You can access many of our features without spending a cent. Upgrade for more powerful features – it’s that easy!